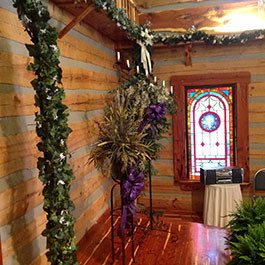 A log building, called the Hay Loft Wedding Chapel, is decorated and ready to use as-is. It overlooks a lake. 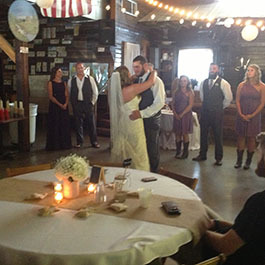 Also, downstairs in the basement of the Hay Loft, is a large cedar panel room, set up with tables and chairs available for smaller parties such as small wedding reception of 75 and under. 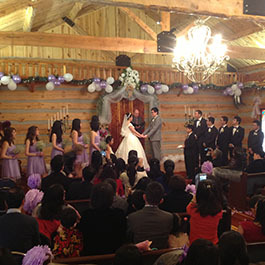 This room can be used the day of the wedding to get ready and dress. No alcohol allowed in chapel upstairs or downstairs. The Chapel itself will seat 110 plus. You can rehearse in the Chapel for two hours. We have a house DJ who has been with us for years and can play the wedding march and/or other songs for you in the chapel and of course for your reception downstairs or your reception in the barn. Every building is heated and air-conditioned. Consider coming and getting married with us! 1.) 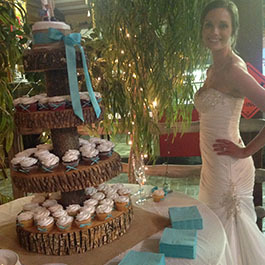 Gratuity Fee — There is a 10% Gratuity on Weddings and Wedding Receptions. 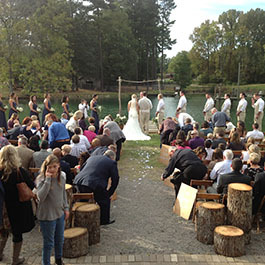 Call for full pricing on chapel. 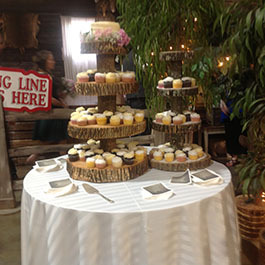 • Both places rent for $4,800.00 all day if you have your own caterer. 3.) 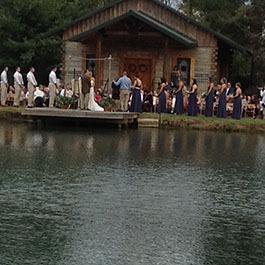 DJ — Our house DJ is who we prefer to use, and he will also play music at the wedding, for a charge of $50.00. 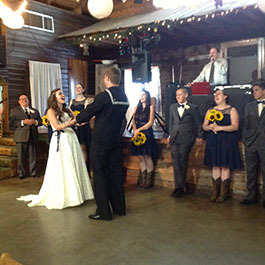 Our house DJ charges $500.00 for the reception at the Barn.